Blueshift Innovation believes that giving back is an important part of our company culture. We are dedicated to improving the lives of underserved children and communities. We do this by supporting organizations, programs and initiatives that enrich the lives and well-being of people everywhere, with a primary focus on STEM (science, technology, engineering and math) education. Blueshift Innovation is proud to support Girls in Tech KC and Girls Who Code. The Girls in Tech KC movement addresses an increasing demand for a qualified and diverse workforce to fill tech jobs in the Kansas City region. Although women hold 57 percent of all professional occupations nationally, they represent only 26 percent of professional computing occupations and only 6 percent of Chief Information Officer positions, according to 2014 data analyzed by the National Center for Women in Technology. Please use #GirlsinTechKC to talk about opportunities on social media. 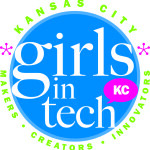 Girls in Tech KC is an initiative through KC STEM Alliance, a collaborative network of educators, business partners and organizations that inspires interest in Science, Technology, Engineering and Math careers. The purpose of the Blueshift Innovation philanthropic program is to support activities that enhance and serve communities in which we live and work and the issues that impact quality of life. The intention is to participate in giving back and supporting the community and to allow our employees to share in that effort. At the same time, we recognizes that participating in these sorts of activities enriches the lives of its employees. Community is not defined as just local community, but may encompass the global community.